the Chrome Web Store to make it easier to discover apps. Today, we’re introducing a few new features that make it even easier to find what you’re looking for. You can now view the most popular and highest-rated apps using two new sorting filters. These are available in the store’s homepage and category view. You can also find new apps and extensions to try by using the new “Related” tab. 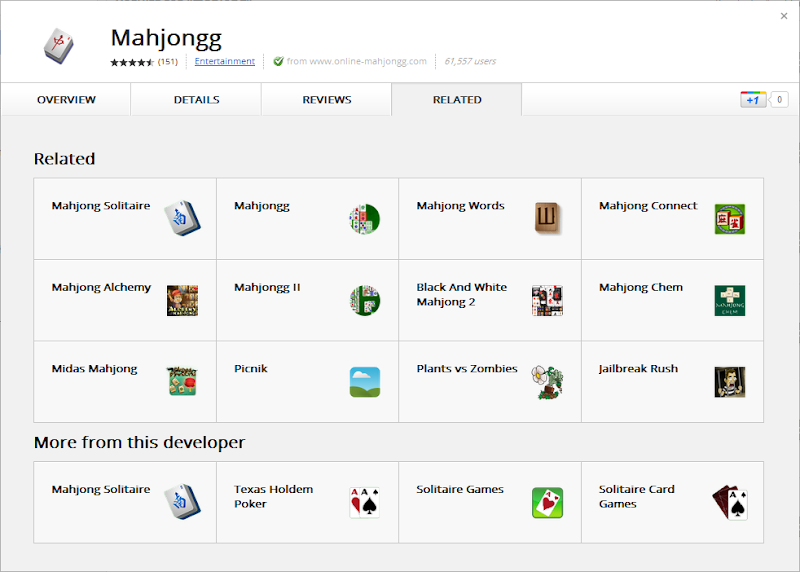 Let’s say you find a great Mahjong game and you want to find more apps like it - just click on “Related” and you’ll find similar apps. This tab will also show a list of other apps by the same developer. To discover more fun and useful extensions and apps, visit the Chrome Web Store after you’ve installed Chrome. 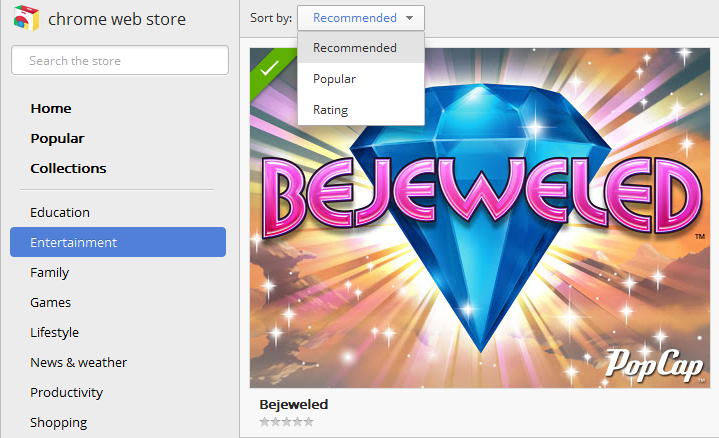 A few weeks ago, we redesigned the Chrome Web Store to make it easier to discover apps. Today, we’re introducing a few new features that make it even easier to find what you’re looking for.